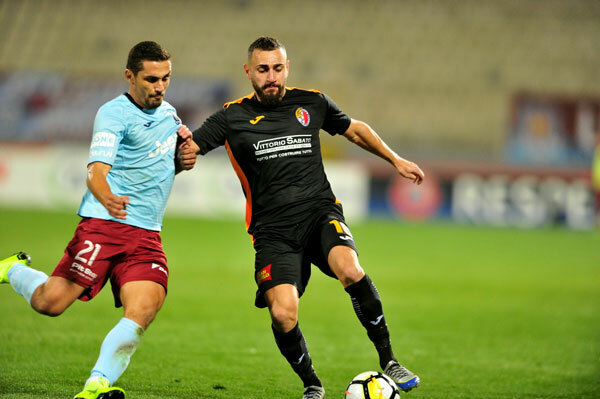 Michael Mifsud was the hero for Valletta as he notched a hat-trick to give the Citizens a 3-1 win over eternal rivals Floriana in the final of the National League 100 Anniversary Cup. The competition marked the hundredth anniversary of the first ever league organised by the association in season 1909/10. Ironically the same score with which Valletta defeated Floriana in the Centenary Cup final ten years ago. The Citizens held the initiative for most of the game after taking the lead thanks to a defensive blunder. In the three goals, Mifsud proved to be in the right place at the right time to place the ball at the back of the net. For Floriana, this was by far the best performance this season. They played their hearts out and with the score still 0-1, the Greens had at least three golden scoring opportunities thanks to which they could have equalised. Valletta coach Ton Caanen had the full squad at his disposal. 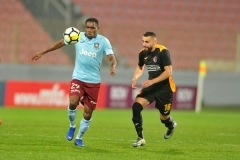 Floriana, on the other hand, lacked the three players who are ruled out due to long-term injuries, namely Sunday Eboh, Christian Cassar and Marlon Briffa. Floriana had the first shot at goal after 3 minutes when a direct free kick by Pablo Doffo was turned into a corner by goalkeeper Nicky Vella and from the resulting corner, a header by Ryan Darmanin was cleared off the goal line by a defender. One minute later, Valletta took the lead when Orosco Anonam failed to clear the ball on the edge of the area, Michael Mifsud took full advantage, rounding the goalkeeper and placing the ball at the back of the net. On 23 minutes, Gilbert Agius released Kevin Sammut on the right following a free kick and the latter’s cross was cleared into safety by a defender. Two minutes later, following a cross by Roderick Briffa from the right, Orosco Anonam anticipated Michael Mifsud, clearing the ball into a corner. On the other side of the pitch, Michael Ghebru concluded a good run on the right with a pass for Christian Caruana but the latter was surrounded by two defenders and could not conclude. The Ethiopian striker then went close to equalising on 35 minutes with a cute lob which scraped past the post following another good run on the right. A minute later, a cross shot by Christian Caruana was saved with particular difficulty by Nicky Vella on the goal line in two attempts. Three minutes in added time, Joseph Borg managed to enter the area from the right but his fine diagonal shot missed the target by a whisker. Valletta doubled the score two minutes in the second half. A shot from outside the area by Jamie Pace was partially saved by Bernard Paris and off the rebound, Michael Mifsud placed the ball at the back of the net. On 68 minutes, a cross from the right by Stefan Lijeskic was not held by goalkeeper Nicky Vella. Michael Ghebru took the rebound but his low shot was deflected into a corner with the ball ending just wide. Floriana reduced the gap three minutes from time thanks to a powerful drive by Pablo Doffo which beat goalkepeer Nicky Vella. However on the 89th, Valletta restored a two-goal lead with Michael Mifsud hitting low past Bernard Paris following a fine run on the left flank by substitute Dyson Falzon. One minute in added time, the Citizens ended in ten men after referee Chris Lautier gave marching orders to substitute Edmond Agius. VALLETTA Nicky Vella, Steve Bezzina, Steve Borg, Luke Dimech, Jordi Cruijff, Roderick Briffa (84′ Dyson Falzon), Kevin Sammut, Gilbert Agius (74‘ Edmond Agius), Jaime Pace, Njongo Priso (58‘ Terence Scerri), Michael Mifsud. Subs not used: Andrew Hogg, Declan O‘Brien, Dylan Grima, Kenneth Scicluna. FLORIANA Bernard Paris, Brian Said, Julian Biffa (71‘ Clifton Ciantar), Joseph Borg (59‘ Stefan Lijeskic), Ryan Darmanin, Christian Caruana, Michael Ghebru, Sacha Borg (76’ Mark Spiteri), Pablo Doffo, Orosco Anonam, Owen Bugeja. Subs not used: Jurgen Micallef, Luke Agius, Jermain Brincat, Stefano Grima.